In this game, you control members of a crew that crash-landed on an alien planet and now must survive until they can escape. With a brutal difficulty and plenty of mechanics fighting against you, does this game offer a satisfying survival challenge, or will you run out of patience long before you run out of resources? The story in Symmetry is delivered through an opening cutscene, followed by text dialogue from the crew members as they go about their tasks. At the onset of the game, there’s a sense of mystery as to what exactly caused your ship to crash, and how you managed to survive. While the mystery will grab your attention, you’ll quickly find yourself more concerned with survival. You start the game with three random crew members, all of whom have base-level skill in resource gathering. Resources come in the form of wood for heat, food, and electronic scrap for repairs. In addition to harvesting these resources, you’ll need to monitor your crew member’s energy and let them rest in pods when this metric gets low. While you may think that concentrating on one resource could help you build up a cache of things you need, but that’s not the case here. If you try to focus your efforts on food, you’ll soon find yourself with the components needed to repair your generator. If you focus on wood to keep the base heated, the food levels will drop, and so will your crew members. Early on, I decided to split my three members between these tasks, and that seemed to work pretty well, but the game wants to make sure you earn every victory, to the point where I questioned if I was supposed to finish or not. Things like weather and storms I can understand, but it was almost criminal how constantly things would break in my base. Crucial components like the generator or the food production area would suddenly stop working. If I didn’t have enough components, someone would have to go harvest scrap and hopefully not die in the meantime. Combine this with an almost constant need to have someone resting, and it really felt like I was fighting an uphill battle every moment of the experience. You can level up skills by having people study, but I didn’t have any spare time for my crew to be doing things like this, as I was constantly running low on every resource. Furthermore, components can be used for upgrades, but what happens when you need them to repair yet another broken item? It’s honestly exhausting. Without the ability to save when you want, the game decides when you’ve hit an autosave. Plenty of times, I never made it this far. I was promptly kicked to the menu where I would be required to start from scratch. The level of difficulty here is beyond what I would deem fair, and that’s because I never felt a balance between the various survival mechanics. There wasn’t any priority to any of them, they were all massively important. That would have been fine if things weren’t constantly breaking, which would throw a wrench into even the most prepared of scenarios. If you survive long enough, more members will join your crew, but you’ll need more than a little luck to get to that point. I like a challenge, but it felt like Symmetry was fighting against me to the point where it didn’t want me to win, even if I mastered its mechanics. The other aspects of the game, like the controls and the ability to stop or fast forward time all, worked fine for me. The foundation was solid, but the design seemed too far on the difficult side of the spectrum. This could have been a really engaging survival game if the balance was tweaked to make things less brutal. Even a difficulty setting would have done wonders. Here’s the thing though, despite my feeling that the balance is out of whack, Symmetry is a cool survival game. If you don’t mind the punishing difficulty, it is possible to finish it and see one of two endings. You just need to go into this experience knowing that it takes survival very seriously, and it gives you a world that wants nothing more than to see you fail. For some gamers, this may sound appealing. If it does, I recommend you give Symmetry a try. Symmetry has a smooth and simple graphic style that I really liked. It focuses on sharp geometric shapes and clean edges that make the world easy to understand without sacrificing artistic value. The interface is well-designed, with all the indicators available to you when you zoom in on your crew members or the equipment in your base. It’s easy to pick up and understand, but it will do everything in its power to see your crew die on that alien planet. 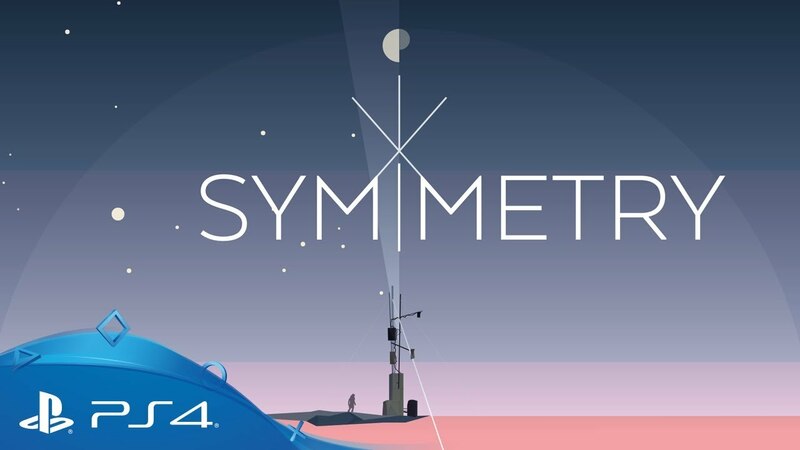 Symmetry is not a bad survival game by any means, but it does suffer from a lack of balance in its mechanics. As a result, it’s not very approachable, but those looking for a challenge will certainly find it here.